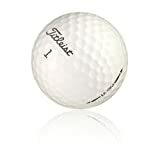 Titleist Pro V1 X RecycledGolf Balls in excellent condition, recycled to the highest standards possible. Exceptional playability. 3 dozen included in mesh bag. Save money!!! Buy from us Gator Bait Golf Balls. Quality used golf balls. 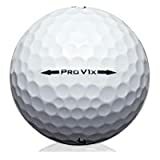 The Pro V1X 2012 is a four piece golf ball designed for golfers with swing speeds over 105 mph. With exceptional distance and a more consistent flight the Pro V1X new design stabilizes ball flight like never before. The ProV1X has a firmer feel, less spin, and a lower trajectory than that of the Pro V1. Urethane Elastomer cover and spherically tiled 352 tetrahedral dimple design. And with 3 axes of symmetry, new aerodynamics deliver a penetrating ball flight that holds its line in the wind. The Titleist Pro V1 2010 golf balls promise a higher coverage with their integrated alignment. 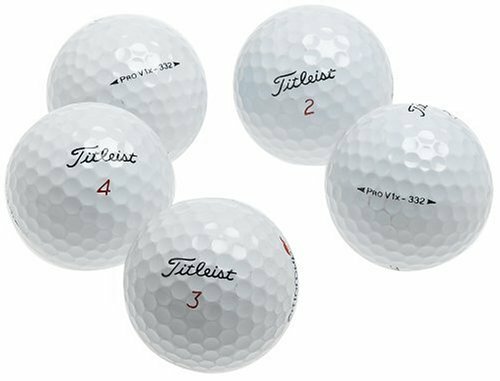 These balls have a 392 dimple design as well as a wave parting line. 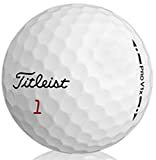 If you are looking for long and consistent shots into the green, then these ball provide the perfect amalgamation of quality and performance.